When we think of tech workers, we think of plaid shirts, mobile game work breaks, instant food, and enviable high salaries. Not surprisingly, their profiles in the public's eyes are always linked with financial success, crazy working hours, creativity drives, and, recently, 996 and ICU. 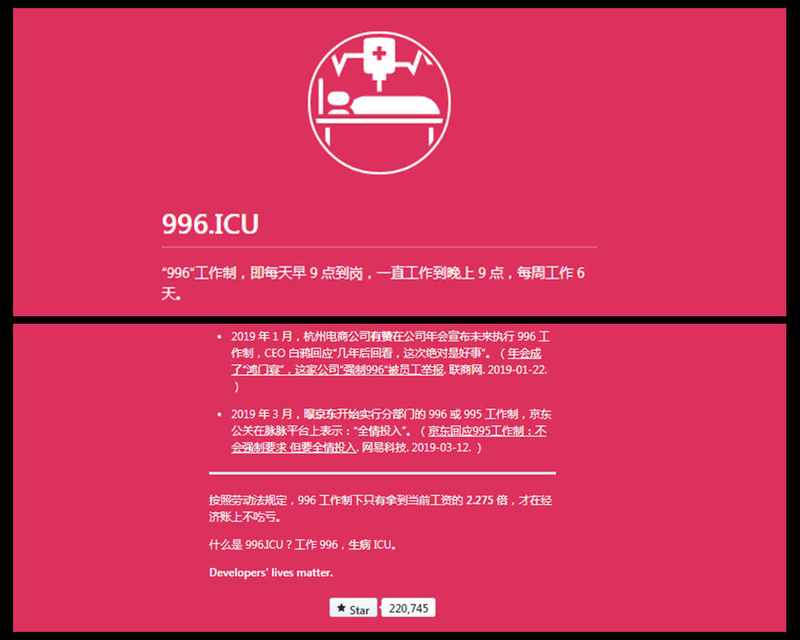 It is a popping-up GitHub project by Chinese tech workers to protest "996 schedule" — work 9 a.m. to 9 p.m., six days a week — which makes people sick, literally, ending up in ICU, the hospitals' Intensive Care Unit. This social protest happened in late March. 996.ICU repo becomes the second most starred repo of all time with so far 220k stars of support clicks. 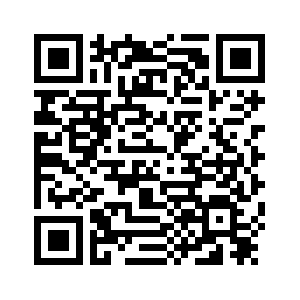 It is not like a usual social promotion appeared on Twitter or Weibo with preplanned buzz strategies. It is a repo (repository, or you may call it a collaborative project) on Github, an online code-sharing community, detailing labor laws, showing blacklisted companies and firms with better working conditions. They are collecting and sharing more proof and information about tech companies' work conditions, discussing their own troubles, and trying to find more similar cases internationally. At the bottom of the repo page, there is the campaign slogan, “developers' lives matter,” speaking out from anonymous tech activists. Tech workers have flooded GitHub in the past month, not to convey anger and rage, but to let their comments seen by more people. Facing a situation that they cannot change work conditions by complaining to HRs, 996 campaigners chose this very "geeky" way to raise concerns. The repo did become a tech workers' social platform though. Many 996 campaigners even see this repo as a job-hunting guidance for them to filter employers as the blacklist and whitelist are quite credible. Under Chinese labor laws, workers should not be forced to work over three hours of overtime each day and not over 36 hours of overtime every month. The law also stipulates that workers should get 150% of their usual salaries for prolonging hours, and three times of their regular pay if they work during a national holiday. Zhang Yi, the senior researcher at the Chinese Academy of Social Sciences, said the overtime work could be legal only when the labor contracts include specific related terms and the employers establish a system of the compensatory level. Given the stipulations, the social discussion has raised the question of whether it defaults to work overtime or it's just an option. The reality could be worse actually since a lot of tech companies do not provide any compensation or stipend to overworking employees. Ezra Zhang, who's invested in several tech start-ups in Beijing, said the campaign can be a reminder for the industry to pay more attention to balancing workers' work and life. "The protest is very tender and civilized, which will possibly lead to some practical changes, "said Ezra, adding that it's a good thing to see the industry has to face such long-existing problems and think about solutions together. "996.ICU" repo has dragged the IT industry heavyweights into the spotlight. 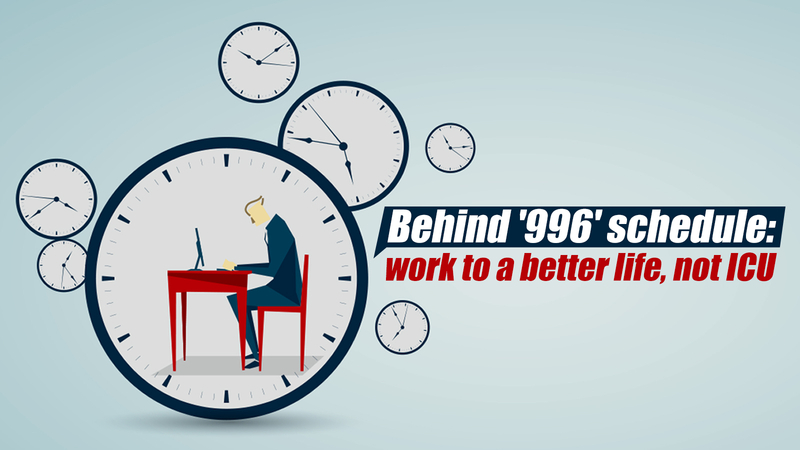 "I don't defend '996' schedule, but I salute to those very diligent workers. 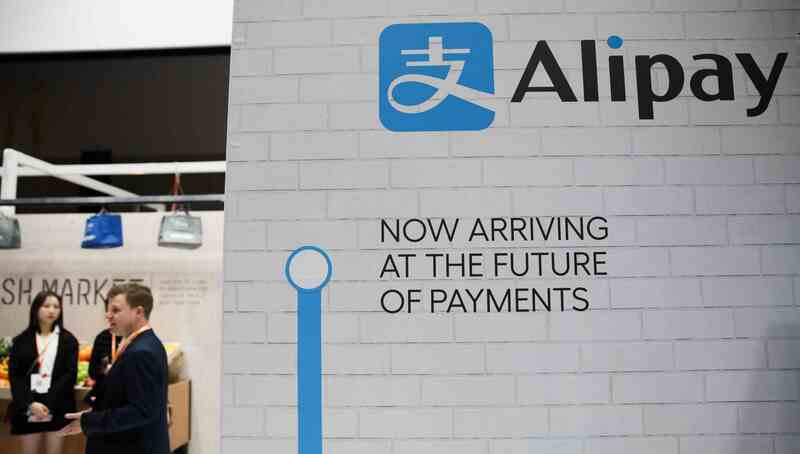 Tech workers should take it as a huge bliss for they got the opportunity to work that way," said Jack Ma, the founder of China's tech giant Alibaba, said on his Weibo Friday which however stirred up much backlash from netizens calling him out for only endorsing the overtime work culture because it benefits his own wealth. Jack Ma then posted another Weibo out of pressure to justify his early comments, explaining that he was persuading young people to be hard-working instead of promoting an unhealthy way to work. China's richest person highlighted the importance of passion and ambition when choosing a career, as vaguely mentioned that money (extra pay) should not be a decisive factor if your companies need you to work more. Other business tycoons also joined this working schedule debate with various stands. 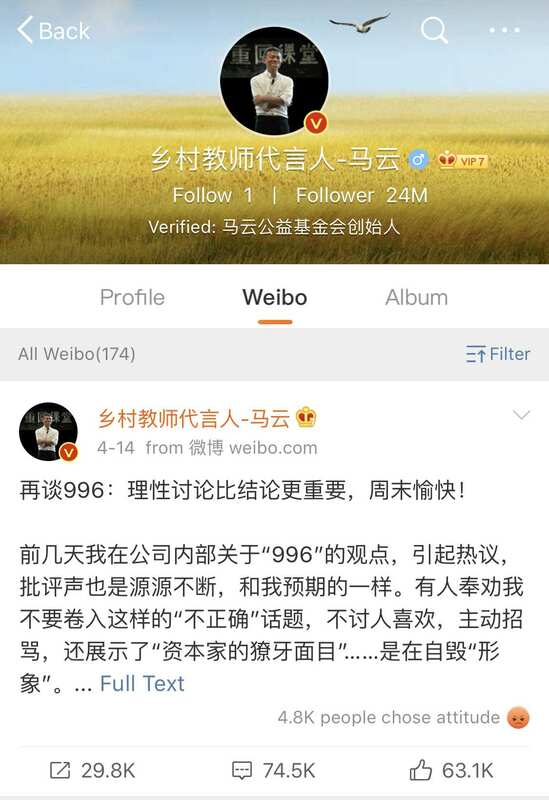 Founder of China's e-commerce giant JD.com Richard Liu posted a short story pointing out that JD.com will never force employees to work in a "996" way, though he does require the workers to fight tooth and nail in work. He even said he could work under an "8116+8" schedule: 8 a.m. to 11 p.m. for six days, plus eight hours every Sunday. Brian Shen, CEO of China's mobile communications company Oppo, posted that people with different goals choose different career path; personally, he would definitely backup 996 work schedule because he loves his job. Yet, the founder of China's book retailing website Dangdang.com, Li Guoqing is sharply against "996" schedule, as he believes it negatively affects employees' work and life balance without enhancing work effectiveness. 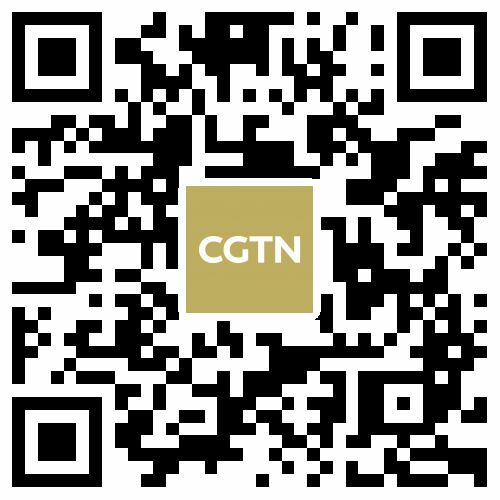 "It's tougher for employees to maintain a healthy work-life balance considering the extremely high demands on their professional front, even a short piece comment encouraging prolonged work can be a huge buzzkill," one interviewee told CGTN, who preferred to remain anonymous for fear of losing her job. She said as one of the new-age employees facing fierce competition, she is well aware that only hard work can help them achieve the dream. She was pretty angry that comments like Jack Ma's obliterate most people's contribution if you are not a 996 worker. As the agitation escalates, people started to dig deeper into how the debate triggers such a tide. During my interviews, many young tech workers have made it very clear that there's a misunderstanding at the value level: their protest against 996 is not about being lazy or losing passion. "I am willing to make every effort to working toward success, but it doesn't mean the company can force me to work overtime without adequate compensation," said Mr.Yuan, who is working at Huawei as a Java technician. Many enterprises are struggling under the pressure of economic downturn, while new-age workers do understand they need to work more hours than they would like to for the survival of their companies. However, this can never be a legit reason for no-limit working hours and the so-called "struggle spirit". Linking a legal 9 a.m.-5 p.m. work schedule to poor work ethics is not logically persuasive, let alone calling this a lack of eagerness to succeed. 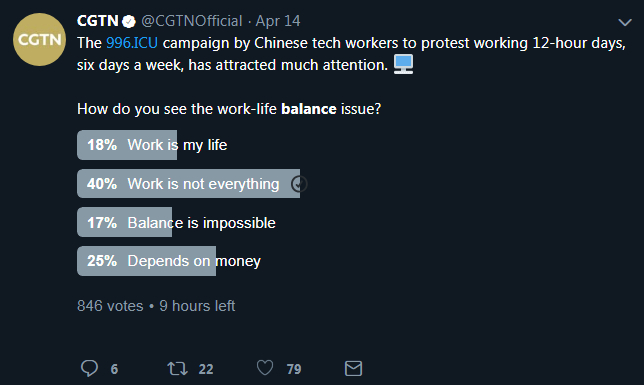 Unfortunately, thought the protest against this long-existing ineffective work culture is on, the latest Healthcare and Life Sciences Predictions by Deloitte pointed out that the Chinese are suffering worse health, while overwork death accounts for one of the reasons. The discussion initiated by "996.ICU" is an opportunity for us to rethink China's tech corporate culture and business ethics. A beautiful life does not simply mean earning more money for today's Chinese people, and a respected enterprise is definitely not only chasing after profits. The growth of overtime work culture has shown its unhealthy social costs. It's taking a toll on workers' families, communities, and ultimately on employers themselves.